Chocolate Story Time is one of our Kid's chocolate workshop packed with a ton of fun. Listen to our wonderful Chocolatiers while they read about chocolate, how it is made from the seeds of the cacao tree, who are the people who grow this wonderful tree, what are the countries that play an important role in growing cacao and producing the delicious chocolate we eat at Voilà Chocolat. Kids practice the essential techniques of molding by making one unique chocolate lollipop to keep, wrap or devour instantly ! Class conducted by Voila Chocolat Chocolatiers, All equipment provided. Join us every Tuesday at 4:00 pm ! Ticket price is $24 per student (before taxes and fees). Click on your desired date above to check availability and purchase your tickets. 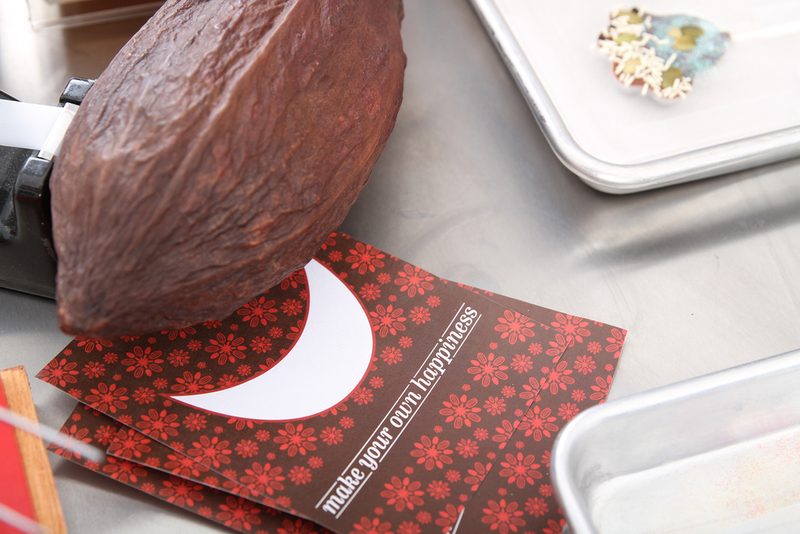 Take home a handy 1-page summary that illustrates the fascinating step-by-step process of growing, processing, manufacturing and crafting that transforms cacao into chocolate and artisanal confections. And most importantly, walk away with a new level of knowledge and appreciation for the science, craftsmanship and artistry that is behind the high-quality, responsibly sourced chocolate you can make and enjoy at Voilà Chocolat.